116 p. : ill., music ; 30 cm. + score supplement booklet + CD. 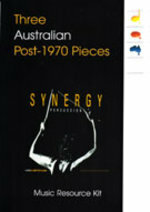 This kit by Frank O'Brien, dedicated to the work of Ann Carr-Boyd, will introduce secondary and tertiary music students to the way in which a composer germinates the initial seed of composition, develops these ideas using the concepts of music, appropriates and transforms existing musical ideas and styles, and arranges original themes from one form to another. Four works by Carr-Boyd have been selected for close analysis. The kit has links to the syllabus for Years 7 through 12. 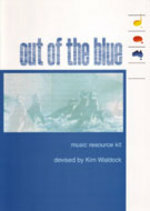 Score supplement booklet includes: Moonbeams kiss the sea (movt 1: the waves clasp one another) ; Tea for Tugger ; Rag for Razz ; Beneath the yellow moon: billabong ; Mysterious Kitty ; Fluffy Boy ; Fandango for Fifi. Kit commissioned by the Joan Sutherland Performing Arts Centre, Penrith NSW. 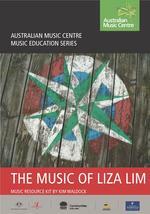 Includes articles on musical genres that have influenced the composer's compositional style, and musicology/aural tasks for senior secondary school students. Accompanying CD of Carr-Boyd works includes works performed by pianist John Martin. 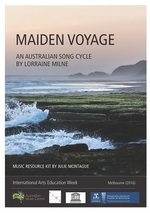 Kit: Maiden voyage : an Australian song cycle by Lorraine Milne / music resource kit by Julie Montague.